Christmas mood in New York City: Supersized tree ornaments on 6th Ave, a photo by jankor on Flickr. 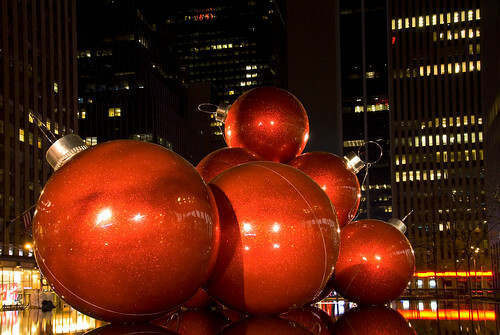 Christmas mood in New York City: Supersized Christmas balls on the Avenue of the Americas (6th Ave) in Midtown Manhattan, New York. Opposite of Radio City Music Hall the giant balls are placed on a mirror of water.